We want to guide and inspire individuals and organisations to engage in or develop innovative and sustainable practices that generate both social and economic value. We want to contribute to a culture where giving and growing are mutually reinforcing concepts. And we want to contribute to a positive development in society – for the benefit of both this and future generations. Tania Ellis has reserved a limited number of 30-60 minute exchange sessions (telephone/skype/real-life) every month for students working on social business-related topics or social entrepreneurs, who need advice on how to move forward with their social business idea. If you're one of them, please contact us for reservation of the next available Give & Grow exchange session. 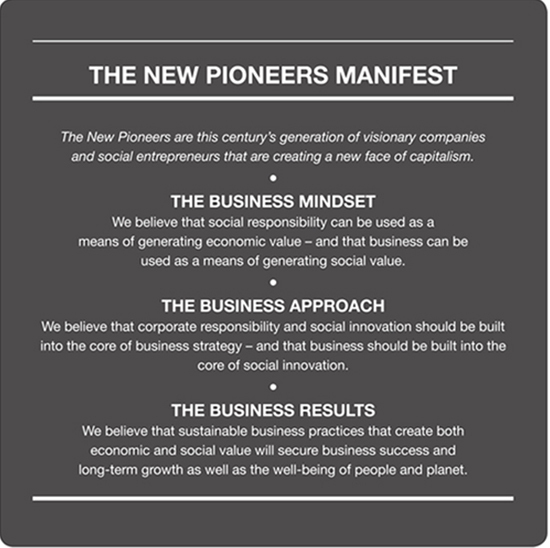 Our purpose is reflected in The New Pioneers manifest and our Give & Grow principle that guide our daily work in The Social Business Company. Free Give & Grow consulting sessions (30-60 minutes) for students working on social business-related topics or social entrepreneurs, who need advice on how to move forward with their social business idea. Special Give & Grow rates for students, unemployed or others who have a passion for social business, but lack the funds to attend our How-To Masterclasses and other training services. Give & Grow volunteering opportunities at our miniconferences in The Social Business Club and other of our open events in exchange for free entrance. Honorary/voluntary work within a wide range of committees, think tanks, boards, advisory boards, projects and initiatives that promote social innovation, social entrepreneurship and/or corporate social responsibility.